You must be a member of the Alicante Arts and Culture Group to attend this activity. Would you like to join this group? Join us on a walking tour around charming corners, narrow streets and lovely houses in Altea la Vella, origin of actual village of Altea, one of the most beautiful villages in Spain. 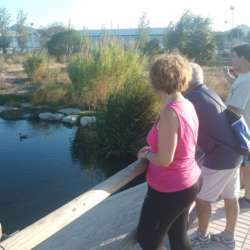 Walking tour starting from Altea beach area (Tourist INfo office) for over two hours on flat terrains along the beach, the river and agricultural areas on the way to Altea la Vella. Then from Altea la Vella there is a public bus service back to Altea. Please read the links below. Maybe we can share car from Alicante. - Tram stop Garganes (City Hall Altea). - Bus back from Altea la Vella to Altea. Check time on sunday.